Tag Archives for " TechStars "
One of the best ways to get your new business up and going fast is to learn from those that have been there, done that. 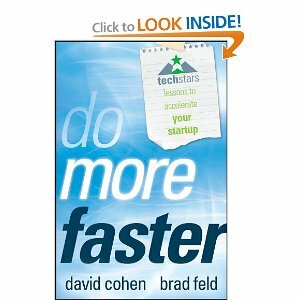 For this episode of the Duct Tape Marketing Podcast I visit with venture capitalist and entrepreneur Brad Feld, cofounder of TechStars, managing director of Foundry Group, and coauthor of the new book Do More Faster: TechStars Lessons to Accelerate Your Startup. TechStars is a mentorship-driven startup accelerator with operations in four U.S. cities. Once a year in each city, it funds about ten Internet startups with a small amount of capital and surrounds them with around fifty top Internet entrepreneurs and investors. Historically, about seventy-five percent of the companies that go through TechStars raise a meaningful amount of angel or venture capital. The book, Do More Faster, is organized into seven themes: Idea and Vision, People, Execution, Product, Fundraising, Legal and Structure, and Work and Life Balance. A great deal of the content is contributed by TechStars participants and mentors.